He was a son, husband and father. He was also a minister, humanitarian and a leader in the Black American Civil rights movement. He, and other activists, dealt with dangerous situations, but Dr. Martin Luther King Jr. had the power to move people to want more. 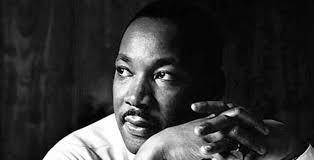 He had the courage to speak up for equality and justice, and he had the audacity to dream big. Each year we remember him, and this year’s official holiday of Reverend Dr. Martin Luther King Jr. will be observed Monday, January 18th. I became aware of Dr. King’s work as a young child in elementary school. Images of U.S. Presidents were hung high in my classrooms, and it wasn’t unusual to see various inventors and civil rights leaders on the walls as well. During American History class I learned about the accomplishments of Dr. King. His “I have a dream” speech spoke clearly about a man determined to make a difference in this world by courageously leading others in the fight for freedom, justice and equality. Whatever challenges you currently face – life’s difficulties, relationship challenges, questionable finances or job search uncertainties – never give up. Be determined to succeed. Dream big! All job seekers strive for the same opportunities and fair chances at equal employment. I find myself reflecting back on Dr. King’s speech when working with job seekers. We all face disappointment in life, and it’s never easy to accept. If you’re out of work and looking for your next job opportunity, be determined to succeed. Whether it’s touching up a resume, writing a cover letter or attending a free job search seminar, make sure you meet an employer’s needs/qualifications and then set forth to prove that you have what it takes to succeed.